Seventh Avenue Performances made its debut in 2004 as an outreach of Seventh Avenue Presbyterian Church with a mission of presenting professional performances to our neighborhood. Admission to our performances is reasonably priced so all members of our community can experience a live performance. Seventh Avenue Presbyterian Church has been an integral part of San Francisco’s Inner Sunset neighborhood, adjacent to Golden Gate Park, for over 100 years. 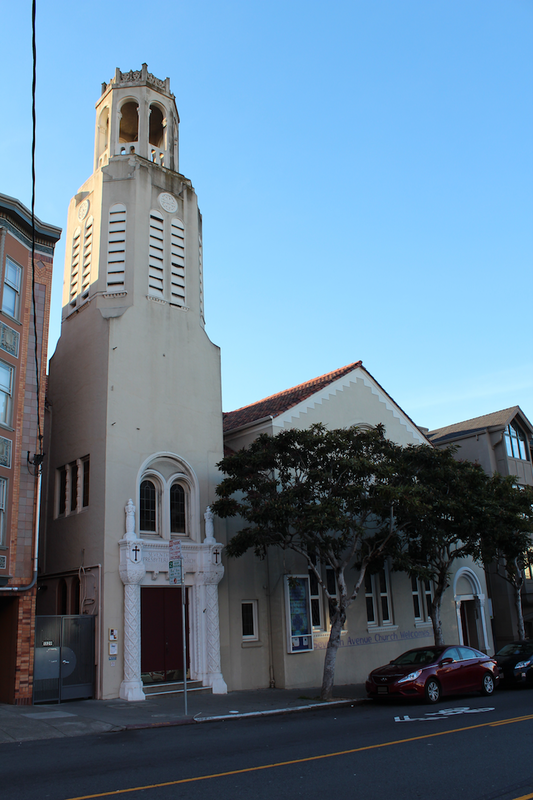 In addition to Seventh Avenue Performances and the many worship opportunities offered, Seventh Avenue Presbyterian Church hosts numerous spiritual and recovery programs, the Stepping Stones Preschool, Artists-in-Residence San Francisco Renaissance Voices (formerly from 2004-2017), and an activity center for seniors as well as provides limited subsidized housing to seniors. As a Sanctuary Church and a More Light congregation, everyone is welcome at Seventh Avenue Presbyterian Church. 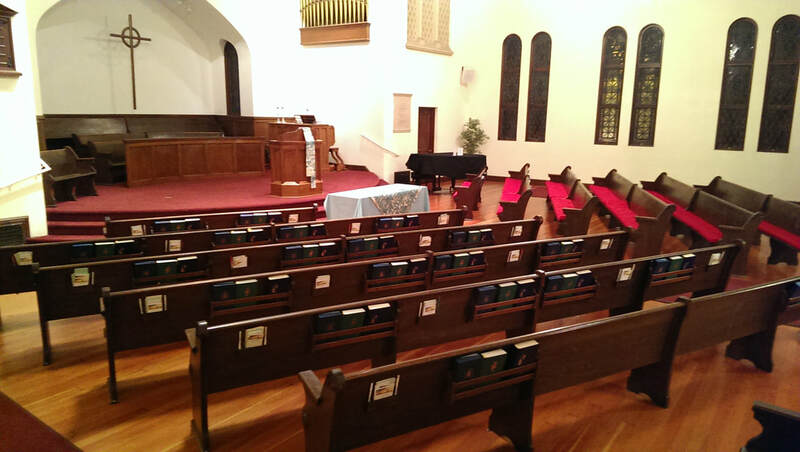 All performances are held at Seventh Avenue Presbyterian Church at 1329 Seventh Avenue, between Irving and Judah streets in San Francisco, CA. Admission to our performances is reasonably priced so all members of our community can experience a live performance. We offer discounts for students, seniors, and children 12 years of age and under. Check event listings for ticket rates and discounts. Due to the high-density nature of the neighborhood, arrival by public transportation is strongly recommended. Should you choose to drive, limited parking is available on the street and in a public parking lot directly across the street from the church; other public parking lots are located on Eighth Avenue between Irving and Judah Streets and Ninth Avenue between Irving Street and Lincoln Avenue. The N Judah streetcar and 6 Parnassus bus stop ½ block from the church. Also nearby are stops for the 43 Masonic, 44 O’Shaughnessy, and 66 Quintara bus lines at 9th Avenue and Judah Street, 2 ½ blocks away. All performances are “open seating” in church pews with padded seats. You are welcome to bring your own pillow or cushion for your back. The venue is fully accessible. If you have special accessibility needs, please contact us at 415.664.2543 or SevenPerforms@yahoo.com well in advance of the performance so we can ensure your comfort.